You are here: Home / What is the Best Bible Translation? As I indicated yesterday, there really is no best Bible translation. The best Bible translation all depends on what you want to accomplish with your Bible reading, devotional habits, or study plan. Other factors to consider are whether or not you will be preaching or teaching the Bible to others, or whether you are just reading the Bible for understanding and inspiration. But here is my basic simple guide for helping you pick the best Bible translation for your purposes and goals. These all are quite accurate translations of the Biblical text, and so are good for preaching and teaching. 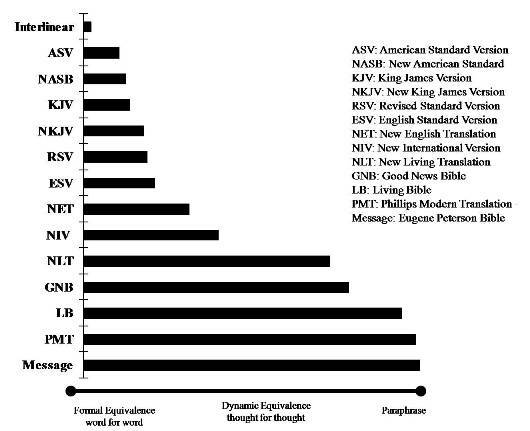 As you look at these Bible translations in the charts below, you can see that they all fall on the “Formal Equivalent” or “Word for Word’ approach to translation, rather than the “Dynamic Equivalent” or “Paraphrase” approach. However, I think that when most people ask about the best Bible translation, they are probably not pastors or teachers, and simply want to read the Bible and learn what God says in Scripture. By far, the best Bible translation for the tradition of Christianity is the King James Version. It is highly poetic, and most religious traditions and religious rites were written using the King James Version of the Bible. So which one is truly the Best Bible Translation? Really, the best Bible translation is the one you enjoy reading. The best Bible translation will be the one that, when you are reading it, you forget you are reading “the Bible.” The one that, when you are reading it, you don’t have an urge to pull out a Bible Dictionary, or put together an outline for your next sermon. The one that, when you are reading it, you forget to “look for the main point” and just enjoy the story, the poetry, or the letter which is being read. I suggest spending several hours (yes, that is how long it will take), and go down to a local Christian bookstore, getting a cup of coffee, and pulling all the Bible translations off the shelf and then just flip them open and start reading. The one that you have trouble putting down is the best Bible translation for you. Lots of people who have done this find that Eugene Peterson’s The Message is the best Bible translation for them, but I could never really get into that version. For myself, I chose the New King James Version. 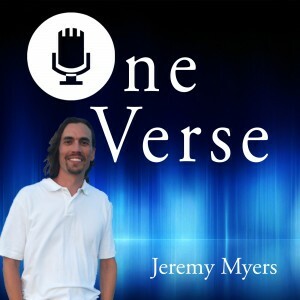 I felt that it had the accuracy I wanted for my preaching, teaching, and study, the readability of some of the other translations, and the style of the traditional King James. This is the best Bible translation for me, and is the one I have been using now for almost 20 years. I’m not quite sure what you meant about “silly adventure stories without any point.” If they are silly, then having a point won’t save them. But if they are good in themselves, and if by a “point” you mean some truth about the real world which one can take out of the story, I’m not sure that I agree. At least, I think that looking for a “point” in that sense may prevent one sometimes from getting the real effect of the story in itself — like listening too hard for the words in singing which isn’t meant to be listened to that way (like an anthem in a chorus). –From Letters to Children, p. 35. So which is the best Bible translationt? The one you can read without “looking for the point.” I think that in some sense, Bible study methods and Hermeneutics have ruined the Bible. It would be far better if most of us just read the Bible to get the “real effect of the story in itself.” I encourage picking a Bible translation which will help do that for you. For this, I usually recommend the NLT, The Message, but if you also want to study and teach the Bible, then I highly recommend the NKJV. 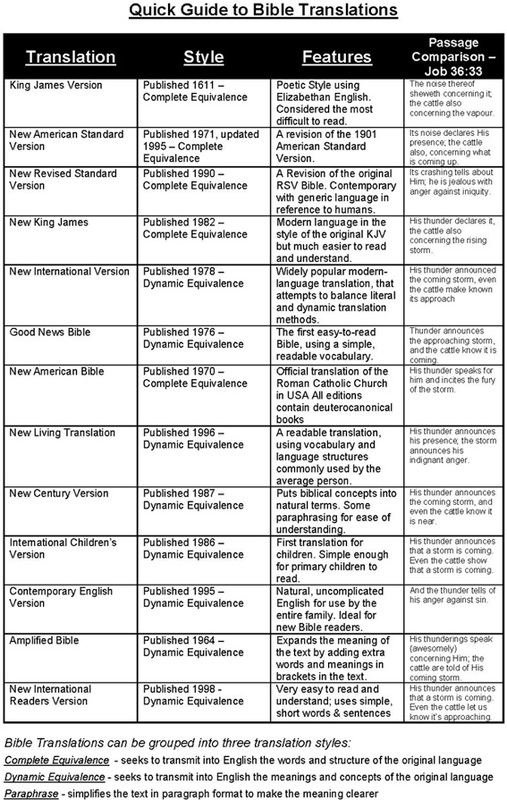 For those of you who want a more detailed explanation of the various Bible translations, and the strengths and weaknesses of each, here are some charts and graphs. This first chart is for “literal” translations. Those near the top try to translate each Greek and Hebrew word literally, and as close as possible to the original word order. Of course, that makes them somewhat difficult to read and understand. Those at the bottom are considered “paraphrases.” They take the idea of a sentence or paragraph, and then try to express that idea in modern language. The following chart is similar to the one above, but shows it a little differently. The following chart shows where our translations came from, and how the translations relate to one another. You see that although many translations try to be straight from the Greek or Hebrew, they also build on previous translations, so that if a particular translation has a long tradition, the tradition might get carried forward, even if that way of translating the word or idea is not the best. I included the following chart because I thought it was funny. It is not helpful for me at all. It is no wonder that people are confused about Bible translations when they see something like this. Of course, the rest of the charts may not be that helpful either…. Finally, here is a chart which briefly describes the style and features of various translations, and then gives a sample verse for comparison. So which Bible translation do you use, and why do you use it? 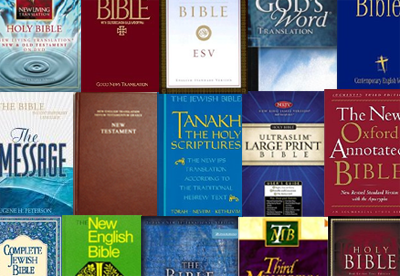 What do you think is the best Bible translation? You might enjoy my definitive guide to translation terminology (http://www.kouya.net/?p=4152). Trust me, I’m a translator! I love it, and I tweeted it. So funny, and so true. I think pound for pound the HCSB is the best, I just don’t like the opinions of the publishers in the extras. If I could buy a HCSB without the H or the Sinner’s Prayer in it, I would definitely switch. You can do those sermon things from it, debate doctrine from it, and the Jr. High youth group understands it. I understand the Bible much better myself too, I just get it better. I think it is mostly just due to proper punctuation and sentence structure. Interesting. I don’t think I have ever read a HSCB. I definitely don’t own one. I read a few excerpts from it online, and it does look like a good translation. Yes, there are pros and cons to each. I used the NASB for a long time, and then ended up switching to NKJV, which tends to “fix” many of the contextual and translation errors of the regular KJV. Also, I’m a Majority Text guy, and so prefer translations that are based on it rather than on the Nestle-Aland text. I’ve used NIV for years now, but recently someone gave me a brand new ESV Study Bible and I must admit that I really, really love this Bible. I have one, but I haven’t read it much. It’s me again, Fedex’s wife, but I am changing my online name to Charity (the name the bikers gave me) because I had forgotton that to most outside the bikers, being someone’s ol’lady seems derogatory. I couldn’t resist a comment here. My favorite Bible right now is the Jesus Storybook Bible by Sally Lloyd-Jones (www.jesusstorybookbible.com). I live my life in a house full of little ones and this is what we are currently reading together. I am sure this is far from a scholarly answer on the subject of “translations”, but the subtitle of this wonderful book is “Every Story Whispers His Name”. I love the constant reminder that from beginning to end the Bible is the love story of our Creator coming in flesh to redeem us back to the love relationship we were made for. 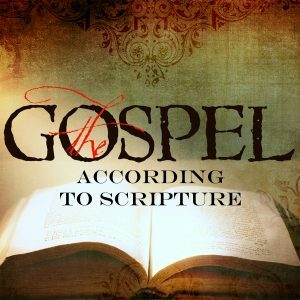 This approach to scripture even inspired me to start a Bible study in which we are studying the harmony of the Gospels from the standpoint of how Jesus offered himself in relationship to broken people He came in contact with. This has been very freeing as we look not for formulas to do it like Jesus did and save the world, but opportuniies to be the hands and feet of Jesus, offering His life, love and inifinite grace to individuals the Father brings our way. The Message says it best in John 1:14-“The Word put on flesh and blood, and moved into the neighborhood.” What a mission statement for me as I seek to reflect Him! P.S. When I get adult reading time, I have to agree with Keith’s comment. I have read the NIV for years, but I am falling in love with my new copy of the ESV. I think we have that book also. 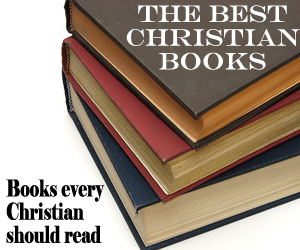 We have kids, and there are some great children’s Bibles out there. This was an excellent post, Jeremy. I really enjoyed it and learned a lot. Thanks! I study and teach from the parallel KJV and LB (paraphrased). I also like the parallel KJV and Message. Such parallel combinations give me easy to read and understandable, mind-jolting text that I can compare to the more familiarly worded and generally accepted authoritative KJV. I rarely find any text from the paraphrases that conflicts with the understanding from the KJV. However, often I’d never get the real meaning from the KJV without the modern expressions of the real-language paraphrases. I like that approach. Parallel bibles are great, and I often find myself reading on just so I can get different perspectives on different passages. I actually really like the NRSV. Perhaps “ruined” is a bit of overstatement, but I know what you mean and agree that simply reading for the story is just as important – if not more so – than in-depth word study. However, I feel that The Message treats the word of God much too casually, lacking the reverence which is due God. 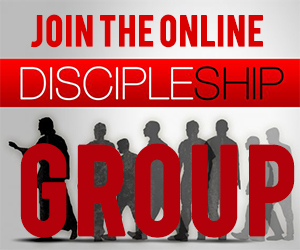 That said, if it brings someone to Christ then that’s good – one trait of a believer is a sincere desire for the word, and it is very likely that the Christian will eventually gravitate toward a more accurate translation, just as many of us have done who were initially enamored of Good News for Modern Man (TEV) and other such paraphrases from the past. I find the NASB-Update highly readable and undeserving of critic’s claims of woodeness, which was more true of the original NASB. The ESV and NKJV are also quite good – I agree. The old KJV still gets some of my reading time, too, despite its archaisms, while the old ASV is also an excellent alternative for that literary style. One of the best study bibles – and quite possibly one of the best values for a high-quality study bible – is a Thompson Chain Reference in genuine leather (I prefer it in NASBu). The bible is almost always its own best interpreter, and the Thompson provides for that; as to quality, it is Smith sewn (which is a big deal) and the leather is beautiful and durable, so it is built to last. I am not affiliated with the company except as a very satisfied consumer. I have a Kindle, and I use e-Sword a lot on my PC. There are some things you can do with a print bible that just doesn’t work well with an electronic one, or screen, and vice versa. Reading for the story, for pleasure, works best with the print bible, imo. Great points, Halroy. I am beginning to think you are right. If we can get the flow and narrative of Scripture, it might have a greater impact on transforming our lives than if we just focus on Bible trivia and facts. I like the Thompson Chain Bible as well for a study Bible. Take the KJV and Black’s Law Dictionary 1st through 4th edition and study it. Then you will understand the Bible. As you probably know, none of the Bible was written in English. Although there are hundreds of thousands of churches in the USA alone, I’m not aware of any that believe that anything but the original writings were “inspired”. We don’t say, for example that the KJV or NIV or whatever translation is inspired. The original manuscripts are not available for any of the books of the Bible. They were probably lost or decayed. Most translators think that that the oldest copies/ manuscripts are probably closest to the originals and usually try to use those when translating. Even those manuscripts don’t always agree on everything. In addition, there are words and phrases that do not easily translate from one language to another, such as idiomatic expressions, word usages from ancient agrarian societies and so on. On top of that, the original languages of the Bible sometimes use words that are rarely, if ever found in other writings of the time, making it difficult to know the meaning of the word. As time passes, additional examples of usage of some of those words in writings contemporary to the time a Bible writer used it are unearthed, which may shed additional clues to the meaning of the word. You probably have observed that meaning of words even today tend to change over time, and that also happened in ancient languages. All of that, in an extremely condensed explanation, to say that translation is not always a simple task. Which manuscripts are most trustworthy? How should this word or phrase be translated? Translators often see these things differently, for a variety of reasons. Newer translations, if indeed they are true “translations” may or may not be better than older translations. Some newer versions are not translations at all. Some are nothing more than paraphrases of modern English translations. The important point, however, is not knowing every detail of all these things, but knowing and trusting the one who offers us eternal life. I have known many people who “knew” the Bible forwards and backwards and even a couple who could quote most of it, and yet they didn’t know “the maker of life”. Thanks for posting your reply to an earlier comment (or reply). Yes, to say that all new Bibles change words and meanings is utterly careless. We should appreciate the effort being done by language scholars to help us understand the Bible easier. So you read only the KJV? It is not the best translation either. It changes words and meanings as well. I grew up with the KJV, so I’ve never been uncomfortable with the archaic language. Yet as others point out here, the discovery of more ancient sources casts light on obscure usage in the originals thus providing for updated scholarship. My reasons for reading the NASB, NKJV, RSV and ESV have been well expressed here. I shy away from paraphrases for their added potential of introducing errors of human judgement and understanding and have felt this way from childhood with the appearance of the Good News and Living Bible. Translate as accurately as scholarship allows – then don’t mess with it! Thanks, Ted. Yes, if someone grew up with the KJV they are familiar with it. But can you imagine a new believer trying to understand the KJV, especially if they are not much of a reader? Anyway, I am glad that you are open to other translations as well. I also grew up with the KJV and had issues understanding until I became a born again believer and, well, James 1:5 to sum up what I’m trying to say. I never really had an issue with it after that. I also grew up in an environment where KJV “only” was on the wall. Never fully understanding why I needed to be a “KJV” only person. In my early twenties, I read about Bible translations (a lot) and long story short, I read (study) in this pattern: KJV, NASB, HCSB, NLT, ESV, then again finally KJV. I read in context each time and follow chain references (as many as I can from my Nelson study bible, Thompson (via my tablet app), and WordSearch, and I also use Biblehub.com). I do think about new believers as well, so I try to come to an understanding of the text, then to talk it out (sometimes just alone with myself) with out all the “church terminology”. Quite so, Jeremy! The KJV straight up would probably be very difficult to a new believer with today’s typical U.S. reading skills. I was a public school teacher so I became familiar with the general impact of poor reading skills on learning in any field. The Holy Spirit ministers to our deficiencies in more ways than we even realize, but any attempt to compel use of the KJV only would be wrong if it effectively cut the reader off from the Word. History shows that plainly in the centuries it was read only in Latin. Let all believers read any translation accessible to their skills. More reading will strengthen those skills; they’ll hear other translations read in meetings, eventually to explore more on their own. Key to this entire issue is the nature of the Word itself. [“The sum of Your word is truth, And every one of Your righteous ordinances is everlasting.” (Psalms 119:160, NASB)]. The Word is self-consistent and self-reinforcing. If a translation or paraphrase is weak in one place, the same truth will be plain elsewhere, and it’s the Holy Spirit who imparts understanding and writes it on our hearts. I tend to be reading the Bible to work out what it teaches. And for that a literal translation is essential. An example. I Peter 4:6 says “that is why the Gospel was preached even to the dead, so that though judged like men according to the flesh they might live in the spirit like God”. This appears to refer back to 1 Peter 3:18-20 ” …He was put to death in the body but made alive in the spirit, through whom he preached to the spirits in prison, who had formerly disobeyed in the time of Noah”. If 4:6 does refer back to 3:18-20 then Peter plainly teaches post mortem opportunity. However the NIV inserts a word not in the Greek, so 4:6 reads “this is why the Gospel was preached even to those who are now dead…” The translators admit the “now” is not in the Greek but say that they put it there to make clear that the passage doesn’t refer to post mortem opportunity which they claim is ruled out by Hebrews 9:27 “it is appointed unto to man once to die and then comes judgement”. Yet this passage has nothing to say. Since Peter says the spirits Jesus preached to were in prison clearly they were judged after death in accordance with Hebrews 9:27. Nothing in that passage however says that spirits can’t be released from Hades by the one we are told holds its keys (Revelation 1:18). Nor incidentally does the parable of Dives and Lazarus have anything to say. It was told prior to Jesus descent into Hades and only says souls couldn’t cross from one side to another. It doesn’t say anything against the possibility of pardoned sinners being taken up to Heaven alongside of those translated from Abraham’s bosom when Jesus ascended. But even if Hebrews 9:27 said what the NIV translators imagined, it was dishonest of them to insert the “now” to avoid an appearance of contradiction. That’s the problem with “thought for thought” translation, it relies on guessing God’s thoughts and Id rather read his words and work out his thoughts for myself. However for literary beauty the KJV has only one rival. The Tyndale translation on which it was based. That is superior to the KJV in at least one place. 1 Corinthians 13 where Tyndale uses love in place of the anaemic “charity” preferred by the KJV. Still, the KJV is a wonder and, with Shakespeare, the foundation of English literature. 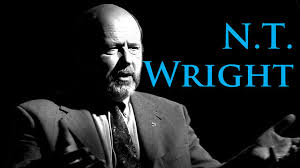 Devout atheist Christopher Hitchens used to say no one should think to be a writer in English without studying it. Yes, I am strongly opposed to many of the translation liberties taken by the NIV. I am not a huge fan of the KJV either, but for different reasons. What about the CEB and NCV, I think they are good translations to understando some passages. I’ll be honest. I don’t have much experience with either of these. Thank you for posting this (and all the comments). As someone who grew up in KJV-onlyism, I had no idea what to expect from other translations. I have found this site most helpful as I search for an easier-to-read Bible. I have read many Christian authors and have always liked the NASB Bible verses that are sprinkled in their books, but didn’t dare admit that out loud! Now, I don’t feel so bad! I was right … it is better than … dare I say it … KJV. Though, KJV will always be close to my heart, I am excited to read the Bible all over again in a language that I can better understand. Thank you so much for your insight! It has been a tremendous blessing to me. Yes, the KJV will be close to my heart for similar reasons. But different translations help bring new insight and understanding. The NKJV is the most accurate easiest to read word-for-word translation. While the ESV tends to be even more easier than the NKJV, The NKJV has more accuracy. Here I will compare John 3:16 in the NKJV to the one in the ESV. The ESV says “only son”meanwhile the NKJV says “only begotten son”. Now we know the NKJV is more accurate in John 3:16 than the ESV since Galatians 3:26-28 says “we are sons of God”. It doesn’t make sense to call Jesus only son when we also are sons of God(children of God). THE KJV SIMPLY CAN NOT BE TRUSTED FOR ABSOLUTE ENGLISH ACCURACY. THE MANUSCRIPTS ARE JUST TO NEW. THE ESV, NRSV, AND THE NAB (CATHOLIC BUT VERY SCHOLARLY) ARE THE BEST FOR THOSE WITH NO GREEK, HEBREW, OR ARAMAIC BACKGROUND. You’ll never go wrong using the KJV. It was the primary version during the 1700 and 1800s which was the greatest missionary period. Apostasy has increased as more new versions are produced. A very good article, as well as some great comments as well. My smnall Bible library contains so many of these listed, as well as the new MEV Bible. I find going from version to version often helps me to get a better understanding of the Word. Personally, I have two favorites right now, the NLT and the MEV. I use both in my writings and personal devotion. Again, great article. Good article. 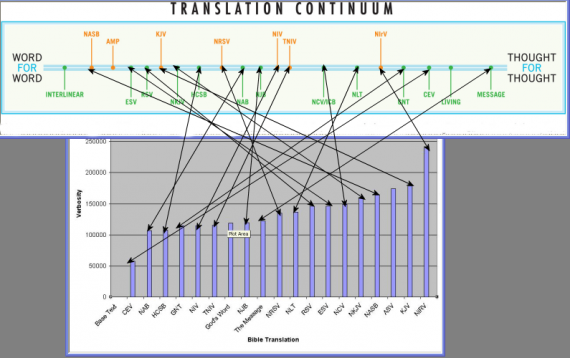 I appreciate the b&w flow chart showing the text ‘sourcing’ of the newer translations. Most other translations have ‘Sons of Israel’, which is incorrect. Unfortunately, the ESV translation is the key to unlocking a crucial point to understanding what the OT is all about. In college I had the New English Bible and absolutely loved it. Yet I don’t see anything here that references it. Isn’t it a solid translation? I collect translations: KJV, NKJV, NIV, NASB, NAS, Jerusalem Bible, NJB, NLT, AMP, ESV, Douey Rheims, NAB, MEV, RSV, NRSV, ASV, Gods Word Translation, a few days ago got the KJVer Sword Study Bible and have maybe one or two others. When I was growing up they used the NRSV in my church and to this day I prefer the Apocrypha to be included. To me, the Jerusalem Bible is the most poetic of all translations. The NLT will get me reading when I don’t especially feel inclined to read and certain study or devotional Bibles get me motivated for study or meditation. Perhaps I have given myself too many options but not being a professional, whatever motivates me to read whichever Bible I reach for on any day feels like a gift. 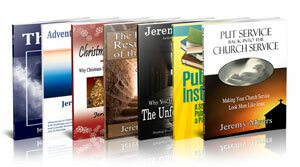 Current favorites are actually the Reformation Heritage KJV and the Understand the Faith NIV. My head is in a church history and doctrine mode of late and both of those are filling a need. A very compelling article. And the comments from all participants are thoughtful and well intentioned. I have many many translations in my personal possession and consult them in both printed and electronic form continually as part of ongoing study in God’s word. A friend recently provided this reference that I found compelling. It speaks to the origin of translations and the interpretation of “earlier sources” and “majority sources”. I encourage those who are interested in the topic of accuracy and omission to explore this subject after considering this short video. It got me to think about the topic quite a bit. Where is the New World Translation in your comparison chart and why is it not included? Because it doesn’t count as a good translation, and was made to support the false ideas of a cult.